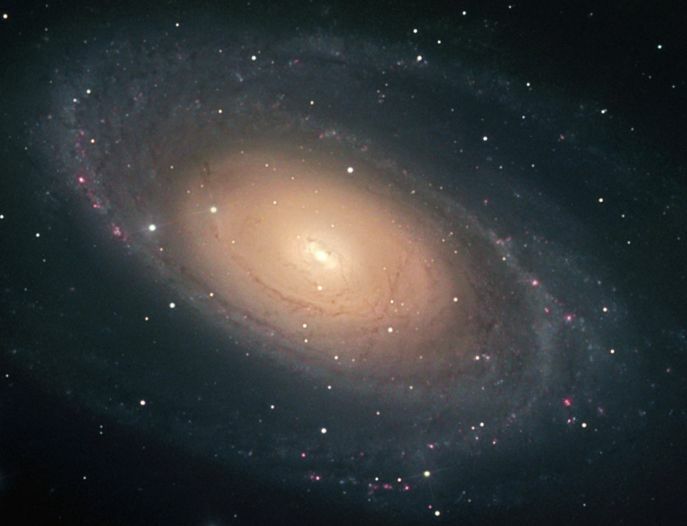 Explanation: Big and beautiful spiral galaxy M81, in the northern constellation Ursa Major, is one of the brightest galaxies visible in the skies of planet Earth. This superbly detailed view reveals its bright nucleus, grand spiral arms and sweeping cosmic dust lanes with a scale comparable to the Milky Way. Hinting at a disorderly past, a remarkable dust lane runs straight through the disk, below and right of the galactic center, contrary to M81's other prominent spiral features. The errant dust lane may be the lingering result of a close encounter between M81 and its smaller companion galaxy, M82. 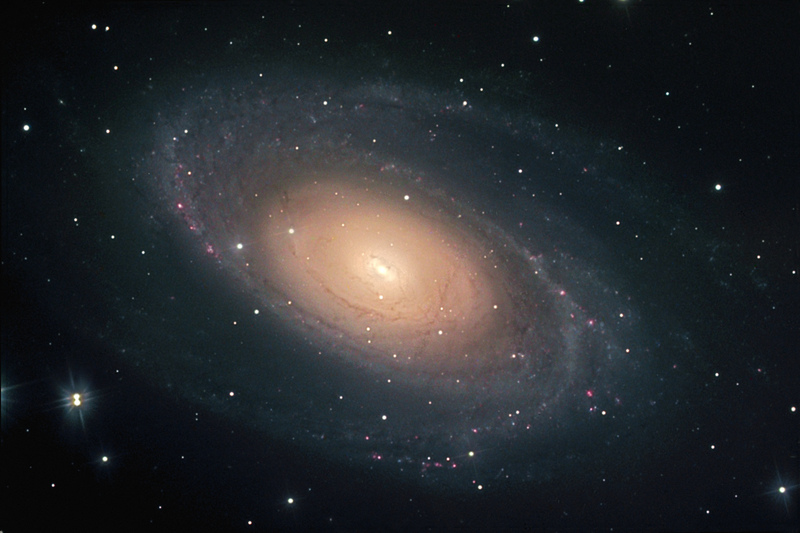 Scrutiny of variable stars in M81 (aka NGC 3031) has yielded one of the best determined distances for an external galaxy -- 11.8 million light-years.